As a Mum of 3, I'm always on my feet and one of the things I hate doing, is housework but it needs to be done. 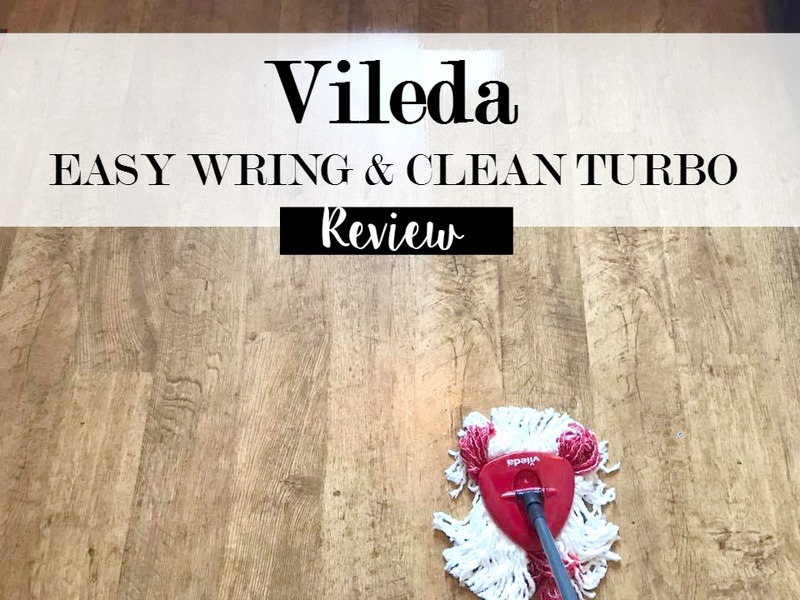 When I was asked if I wanted to review the Vileda Easy Wring & Clean Turbo, I had to say yes. I had heard about the item before and I was interested to see how it worked. When it arrived, I couldn't wait to start using it. We have wooden flooring in every room downstairs, except we have tiles in the dining room and kitchen. We already have a mop and bucket but it's one of the basic ones. After using the Vileda, I will never go back to a basic mop and bucket. The Vileda mop is a triangular shape which is designed to go to those awkward corners easier, which it does. The mop head is washable which is great for saving money and having to spend on a new mop every few months. 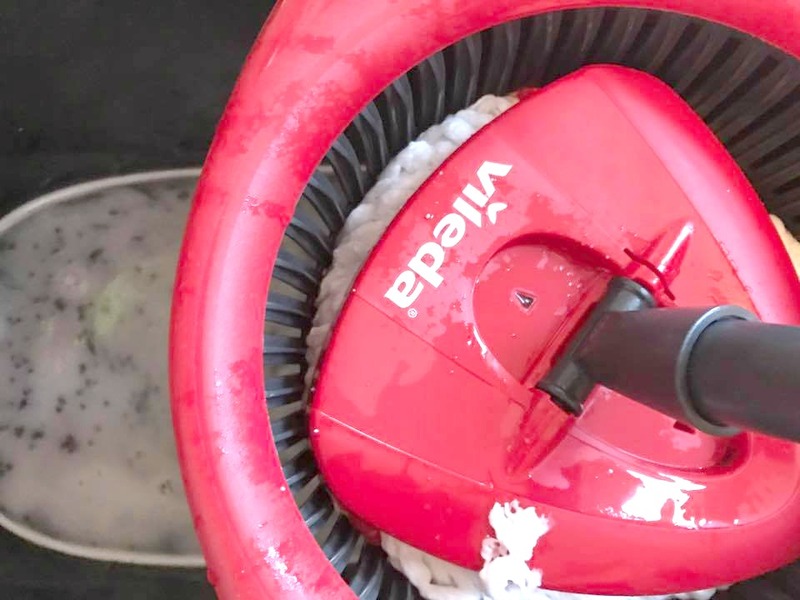 When you mop and accidently mop a dirty/dusty patch that you missed while you hoovered or brushed, it can be a pain but the Vileda mop head is a 2 in 1 Microfibre which is great for picking bits that you missed up as you mop. On the horizontal mop bucket there is a foot pedal which you press down with your foot and it will remove the water from the mop. The mop is suitable for all hard floorings such as wood, laminate and tiles. By using the foot pedal you can decide on how much water you want to have on the mop for the flooring, you can do this by how much pressure you put on the foot pedal. 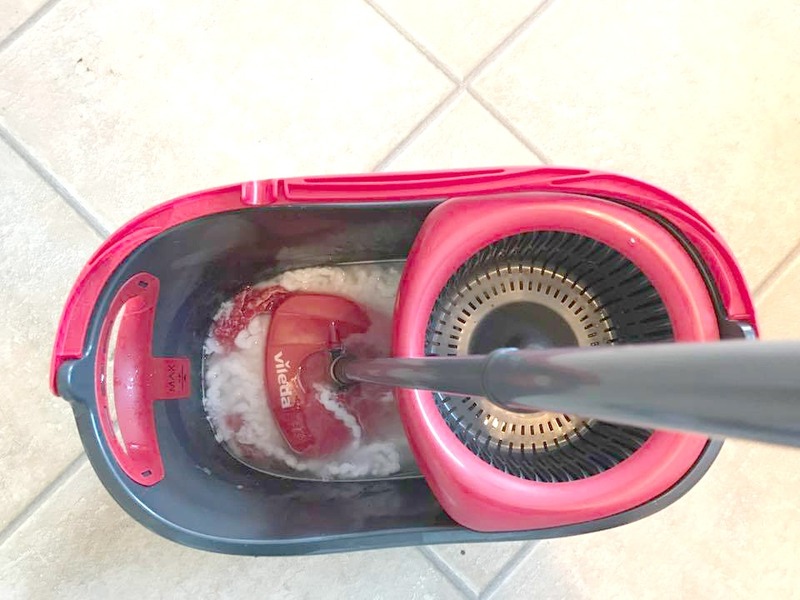 Overall; I recommend the Vileda Easy Wring & Clean Turbo, if you are looking for a modern mop and bucket which makes things easier - that's what us parents want after all - isn't it? The horizontal bucket prevents spillage and leakage. There is an integrated easy-mouth pour which is ideal when emptying the dirty water after you have finished mopping. We were given this item free of charge, in return for an honest review. All words and images are my own, unless stated otherwise.